Lexington, KY tour guides and spouse/companion programs. 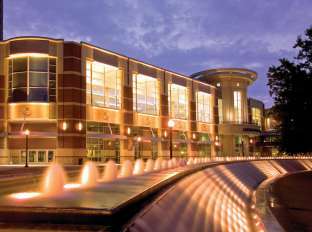 Choose a Lexington tour company to enhance your visit to Lexington and the Bluegrass Region. Most tour companies can also provide private guides and custom experiences. This 14 passenger party bike can be chartered for special bookings such as sporting events, wedding events,bar hops, corporate outings or promotional rides. Participants can help power the bike, but it does have a motor as well. 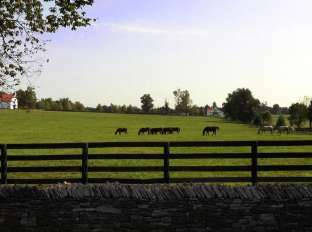 From horse farms, to bourbon, to wineries, to historic sites, let Central Kentucky Tours show you around the Bluegrass Region. 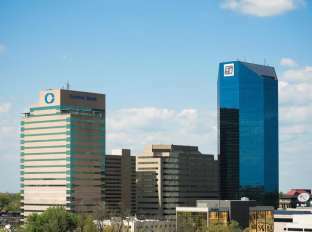 Based in Harrodsburg, the company does pickups at The Campbell House and the Marriott Griffin Gate Marriott Resort in Lexington, as well as Shaker Village, the Beaumont Inn and Bright Leaf Golf Course in Harrodsburg. Step on guides. 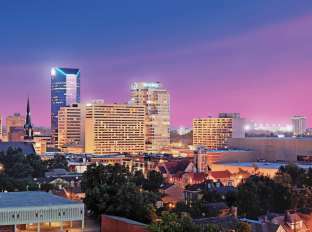 This tour company was created to take the pain out of planning your Lexington adventure. 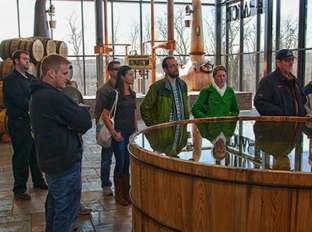 They know Lexington, they know the Bourbon Trail, and they know what you'll love to see (and what you'd rather skip!). Choose from one of their pre-designed experiences, or work with their curators to create your own for yourself or your group. Transportation is included. Narrated tours are offered Mondays through Saturdays. The van drives through two famous farms and other points of equine, historic and cultural interest and includes downtown. Tour lasts three hours. Pick ups at local hotels. 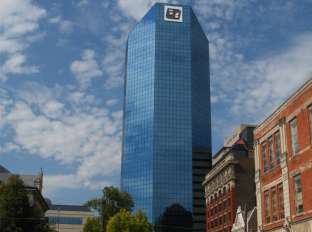 Learn about the history of downtown Lexington as reflected in its historic homes, churches and commercial buildings. See Henry Clay's law office, Christ Church Cathedral, Transylvania University, the pre-civil war homes of Gratz Park, and more. Regular tours offered on Mondays, Wednesday and Fridays, as well as custom group and private tours by appointment. Looking for an active and creative way to bring your group closer together? Homeplace High Adventure can create a custom wilderness activity integrating experiential curriculum. Regular workshops held at Castlewood Park and The Arboretum teach you skills needed to be confident in a wilderness setting, from how to find and purify water and identify food in the wild, to technical skills for hiking, backpacking and climbing. Guided day hikes. Building every tour "from scratch". Door-to-door service allows and customization of tours to fit your needs. Offering tours for one person, or more, from three hours to three days. 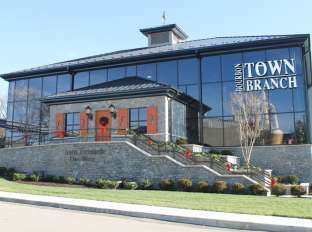 Discover bourbon distilleries, horse farms, wineries, historic sites, the Brewgrass Trail and more on tours built just for you. Step on guides. Owned and operated by a native Lexingtonian. 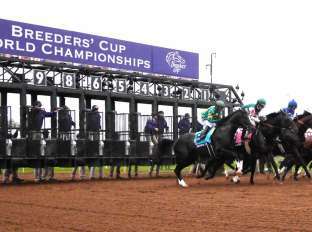 Air-conditioned 15 passenger vans take you to two or three horse farms and Keeneland Race Course, plus a drive-by Calumet Farm. Two tours daily, seven days a week, at 8:15 am and 12:45 pm. Tours last about 3 hours. Air-conditioned 15 passenger vans. Private guide. Step on guide for groups. Rare opportunity to get inside the Thoroughbred industry. 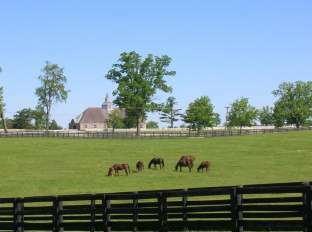 More than twenty years experience providing a 1 to 3.5 hour tours of Thoroughbred farms and Keeneland Race Course. Custom private and group tours. Step on guide. 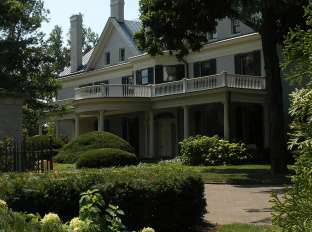 Former Lexington History Museum president offers private afternoon tours in your vehicle. He'll cover the unusual, the unique, and even the extreme. See stations (forts), first houses, original neighborhoods, slave auction sites, burial grounds, bawdy houses and speakeasies and more, including the backstory to Gone with the Wind. Step on guide. April through October. One hour narrated cruises on a 12 person 24-foot pontoon boat. Free. Reservations required. 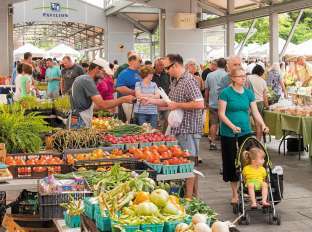 Departs from River View Park and cruises to Lock 4 before turning around and heading to Capital View Park. 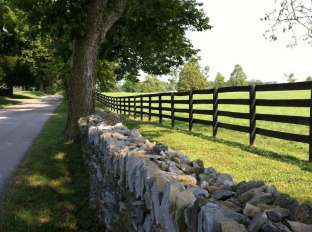 Whether you are traveling solo or bringing a group, Lane Tours can make all your arrangements to ensure a memorable visit to Lexington and the Bluegrass Region. 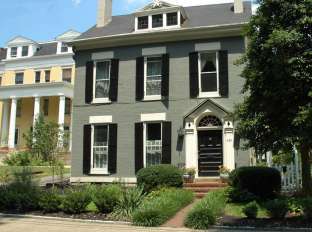 Meet at Lexington's Visitors Center to enjoy a two hour guided walking tour and discover many of the personalities and events important to Lexington's history. An informative walking tour of Lexington Cemetery is also available. For small group tours, itineraries can be customized to the group's interests. Your tour leader is history lover and teacher Phil Maxon, who received a degree in history from Centre College. Bringing passionate consumers to equally passionate craftsman. Board a Lex on Tap bus with your guide for a fun experience of Lexington’s craft breweries. Whether that’s a behind-the-scenes brewery tour, a private tour, or a corporate event – everything is geared towards comfortably connecting more people to the local beer scene. Dr. Coleman leads informative and fascinating tours by appointment for individuals or groups. 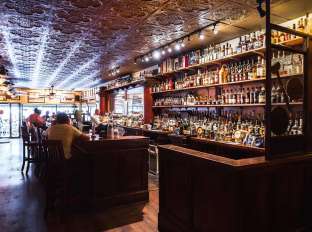 Choose from The Grand Tour (family-friendly) or the Spirits!Scandals! Both are about 1.3 miles of easy walking. Tours are $100 for groups of 10 or less, and just an additional $10 per person for groups larger than 10 people. Private guide with more than 25 years of experience in planning and guiding tours ranging in size from a carload to multiple busloads. Step on guide. Charter this 15 passenger "bike" for a unique bar hopping experience of downtown Lexington. Plan an unforgettable outing for your next corporate event, or book the bike for a bachelor or bachelorette party. You'll spend about half your time helping power the bike, and about half your time enjoying the ambiance of some of Lexington's hottest bars. There's an "electric assist" if you need it! 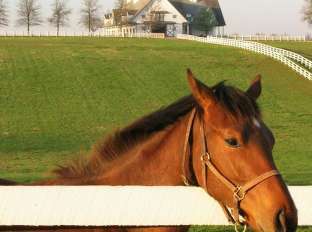 Customized tours of bourbon and horse country. Quality tours packed with interesting history and fun facts tailor made for your group. 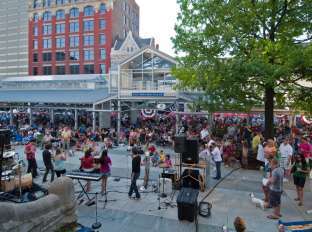 Old Lexington Tour Company provides entertaining experiences of downtown Lexington. Choose from themed packages for families, couples or corporate functions. 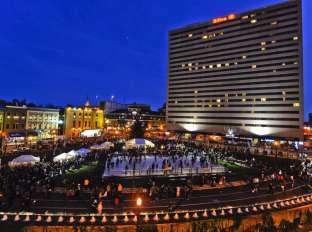 Romantic Date Night walking tours, a Bourbon and Cigar walk and general history tours are just a few of your options. All tours are easy and relaxing and last between 60 and 90 minutes. 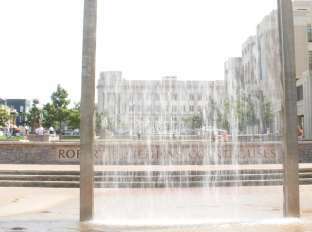 Daily van tours are offered at 8:30 a.m. and 12:30 p.m. and depart from several easily accessible hotels. 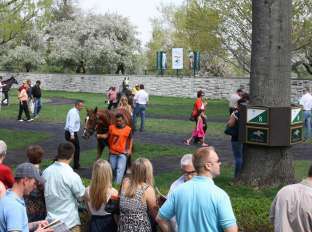 This three-plus hour tour includes a drive by Calumet, a tour of Keeneland Race Track, points of interest from the movies Seabiscuit, Dreamer and Secretariat, and an up close personal encounter with Thoroughbreds. Step on guides. Private, personalized tours. Visit breeding farms, stud farms, training facilities, and historic sites. 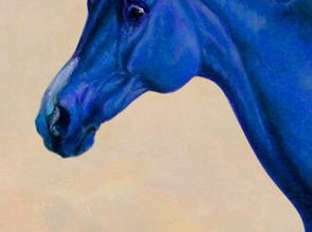 Meet living equine legends and the people behind their success. Step on guides. Hear behind-the scenes stories about the individuals and horses that make Lexington the Horse Capital of the World. Regular tours depart from the Embassy Suites twice a day. Other pick up points can be arranged in advance. Tours last 2.5 to 3 hours. Step on guides.